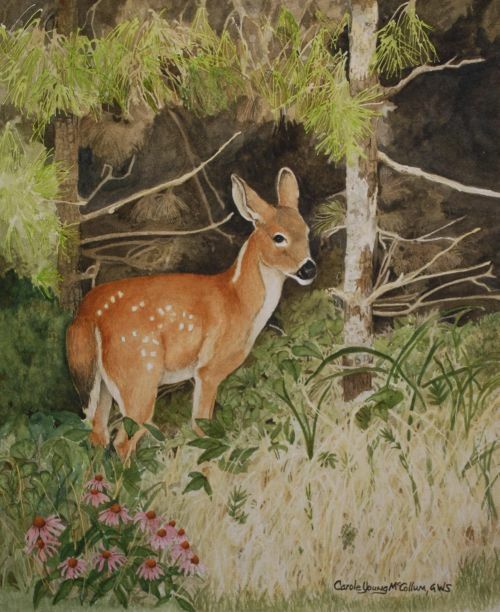 Carole Young McCollum gets her inspiration and subject matter from the North Georgia mountains, particularly Goshen Mountain in North Habersham County where she and her husband have a cabin. 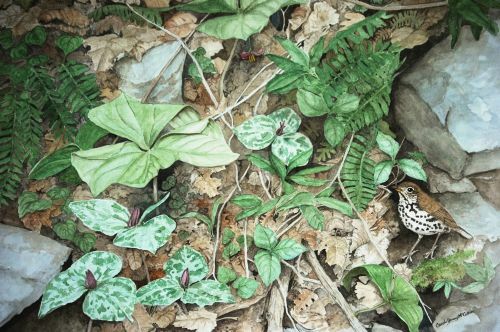 Her love of nature is reflected in her art, and her life’s purpose is to use her art to encourage the conservation and protection of wildlife and wild places. Carole graduated from the Atlanta School of Professional Art. She has exhibited her work in numerous shows throughout the country and has won many awards. She has also been commissioned by several local businesses and families. 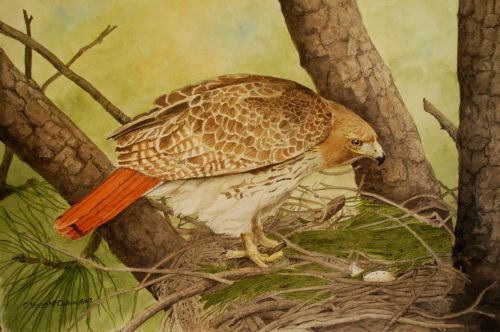 She is a Signature Member of the Georgia Watercolor Society, as well as a member of the North Georgia Artists Guild.